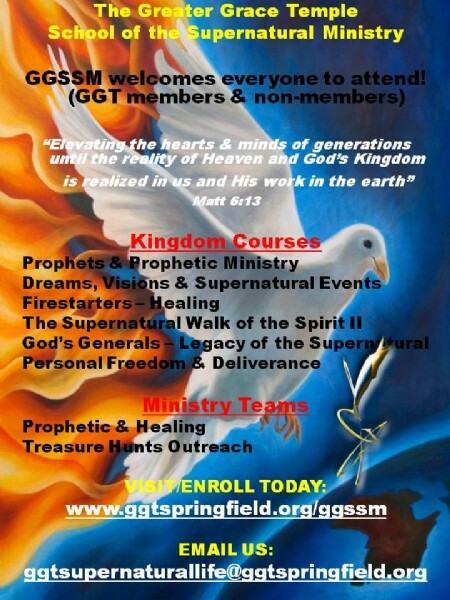 The Mission of the Greater Grace Temple School of the Supernatural is to be a spiritual oasis of life & power in this region that not only teaches but demonstrates the full power of the Holy Spirit through the operation of the five fold ministry callings and spiritual gifts with miracles, signs, and wonders following "as witnesses unto Christ." The GGSSM is open to everyone! 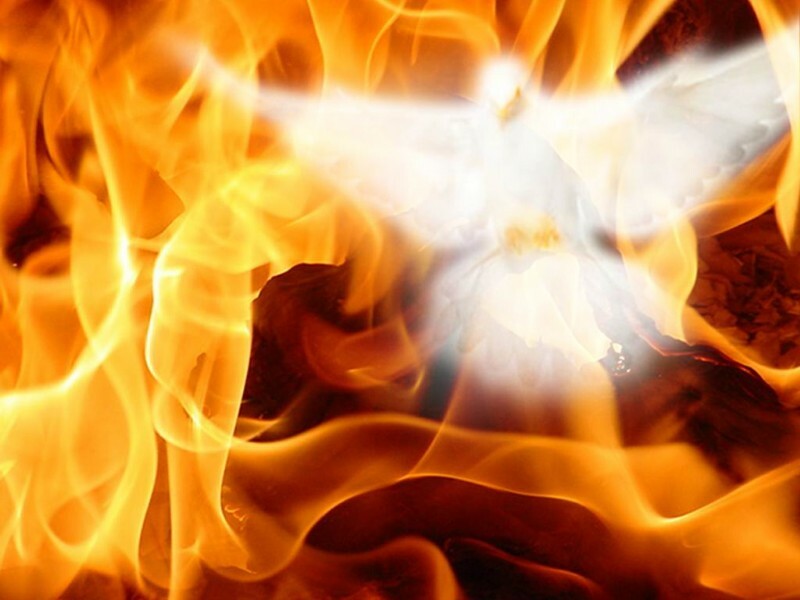 (members & non members) Any believer who has a burning passion and desire to see God's Kingdom revealed in the earth with power and glory are encouraged to enroll in the School to learn more about their personal ministry gifts, callings, as well as the operation of the Holy Spirit in the believers life bringing them into deeper and intimate fellowship with Jesus.